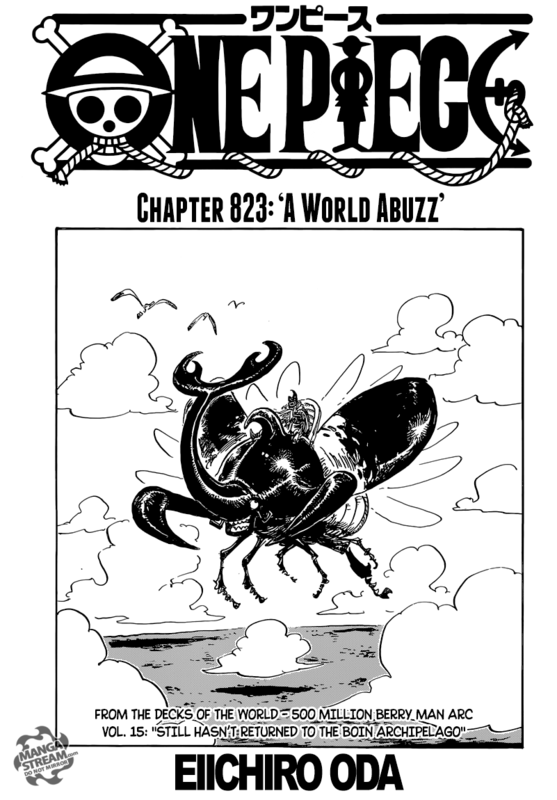 The world of One Piece is “abuzz,” due to the meeting of royalties from over 50 different countries. The plan is to discuss global affairs and the future of the world. They will all be meeting at Reverie, a council that the world government created. We see the Nefertari Family, along with Toto, Vivi, Kohza, Hina and Chaka. 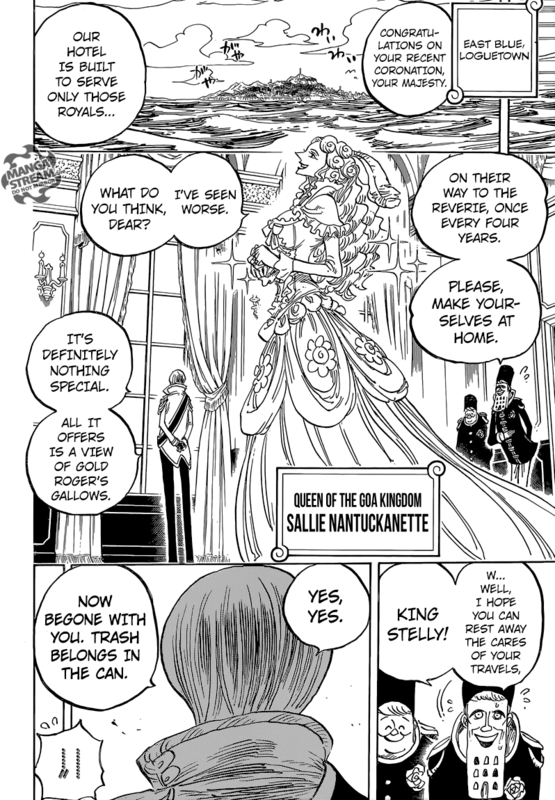 At Loguetown, we are introduced to Stelly, the new “king of Goa Kingdom,” and his wife Sally Nantuckanet. 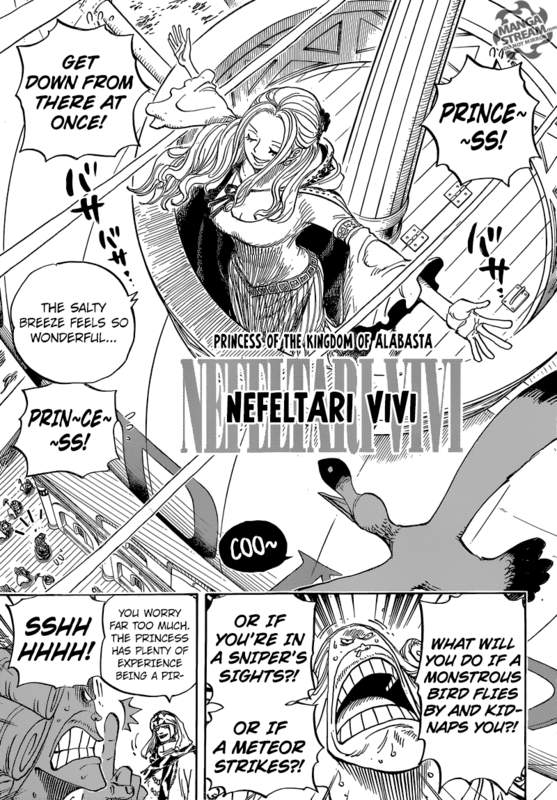 In Kano Country it is reported that “Chinjao and Sai have not yet returned but the war is over.” Rebecca asks Viola if “she can go to Reverie.“Elizabello IIcall’s Riku Dold III, also plans on attending the meeting. 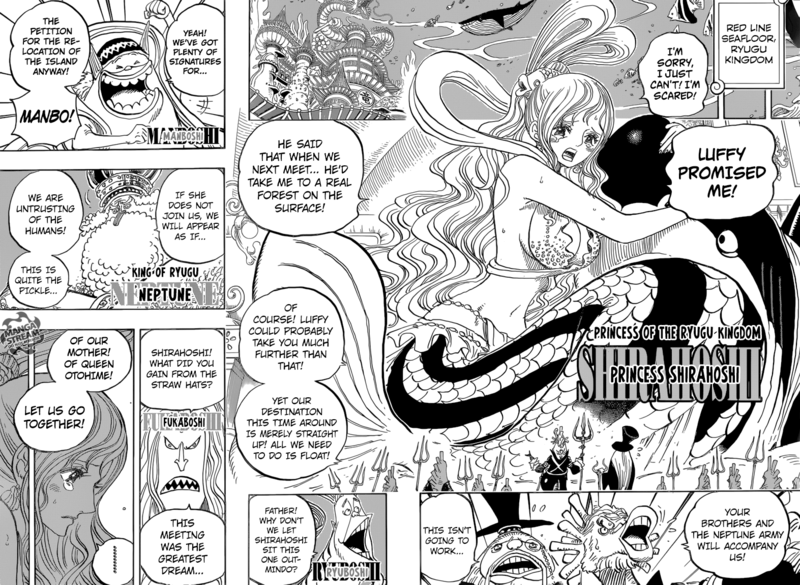 Finally, Shirahoshi, Manboshi, and Neptune also plan on heading to Reverie. The One Piece universe keeps expanding and getting more interesting. We never get to see the World Government at work. It will be interesting to see what they talk about. 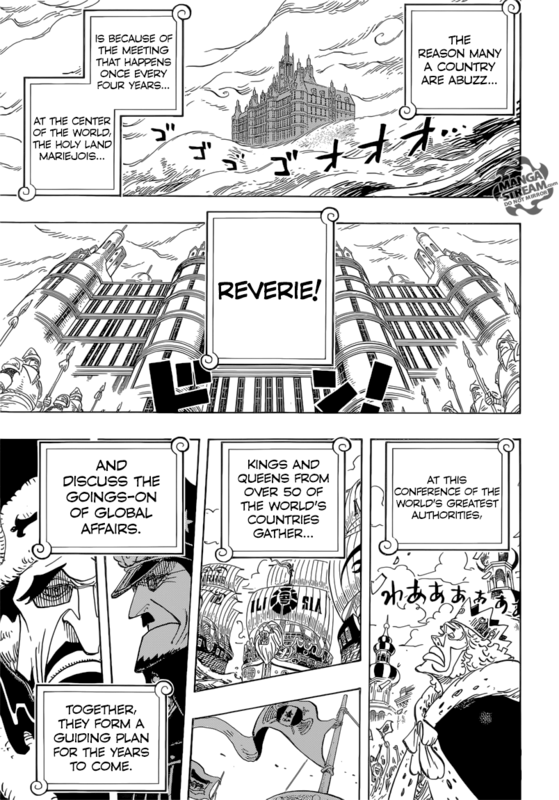 Also, how will the World Government deal with the pro Luffy royals. Finally, I figured they would have the Blackbeard pirates and Revolutionary Army fight out of site. However, we’ll probably get some sense of what happened and who survived. In this chapter Kenpachi’s is too powerful for his own good, and basically defeats himself. Kenpachi succeeds in splitting Gerard in two, but that is useless, as Gerard finally use his Quincy: Vollstandig, Aschetonig. He restores himself and his appearance changes slightly. Gerard’s power increases dramatically, and so does his ego. He crushes Kenpachi and focuses on Hitsugaya. Byakuya tells Hitsugaya to release his Bankai, assuming the once his final flower is melted his Bankai will end. 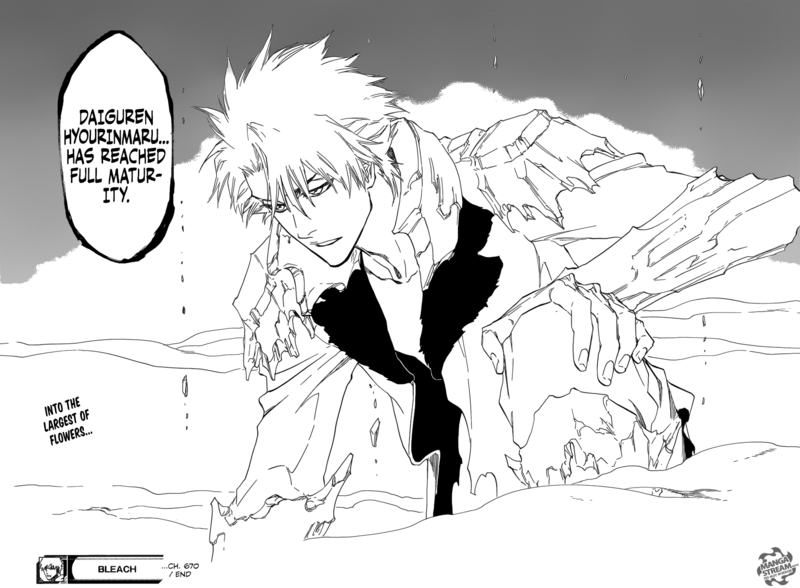 However, surprisingly Hitsugaya’s Bankai “mature’s” after the final flower melts. At this point the, “i found a new Bankai technique,” is getting predictable and old. I’m not really surprised that this happens and I think it is necessary, but still. I use to love Hitsugaya, but he became one note and keep getting thrashed, after instantly going into Bankai. 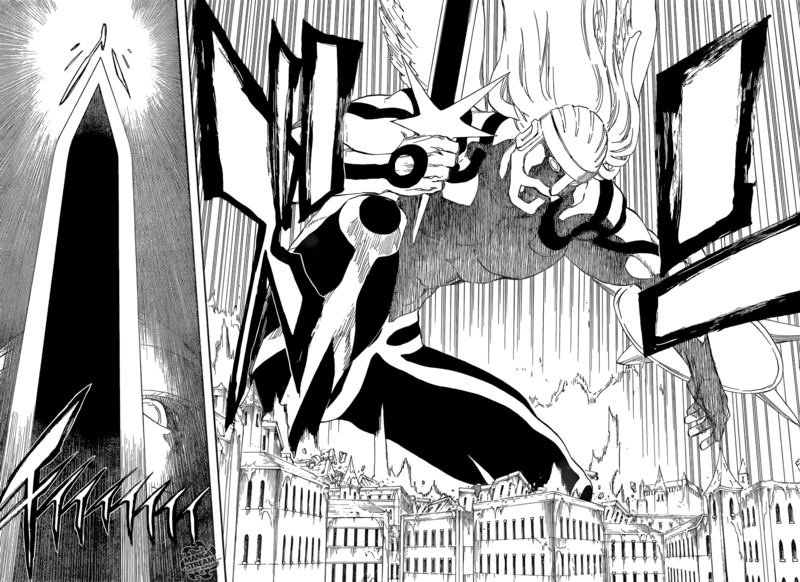 However, he was always considered a “genius,” and his Bankai wasn’t consider complete. Anyway, he does look cool as a new “mature” Hitsugaya, hopefully his techniques match his new look. Also Caribou might of told Kaido’s crew about Shirhoshi being Poseidon. Which is another cool thing about her going to the surface. If Kaido knows that information then she is screwed. 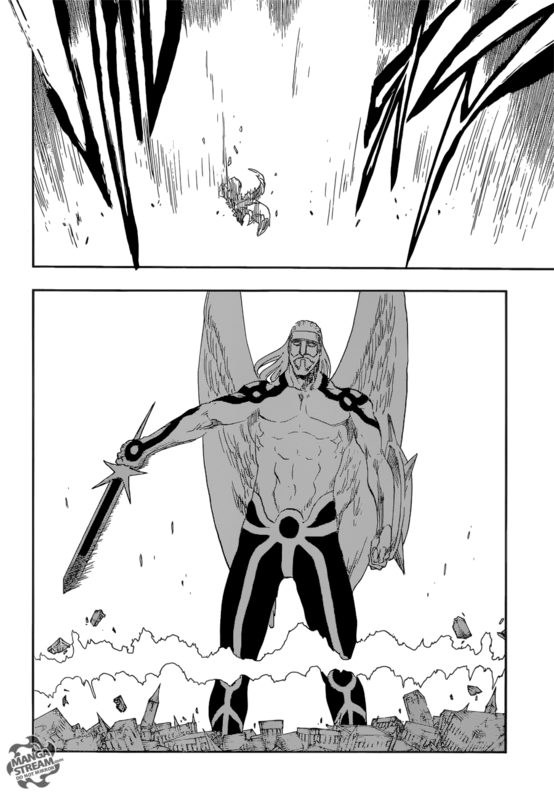 And yeah, Kubo keeps trolling with these “new techniques” lol. Hopefully this’ll at least give Hitsugaya some much needed time to shine. Hitsugaya, has always be “one note” using the same techniques over and over. At least that is a good change.